Another random design submission for Threadless. This was a collaboration design with a friend of mine through Threadless with the alias name goliath72. 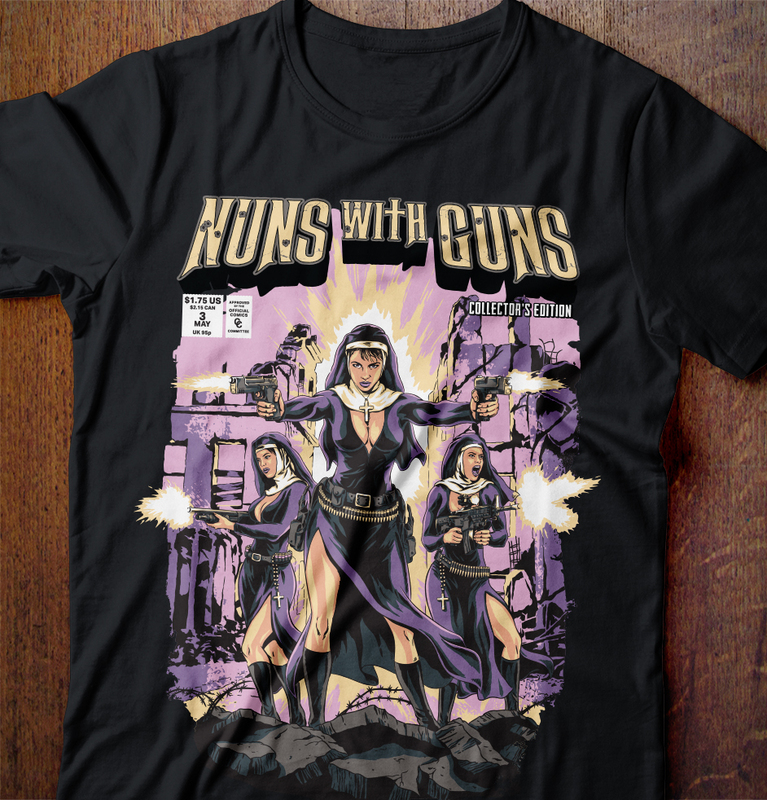 He came up with the concept and I illustrated the nuns to have a comic book action hero appeal to them. This design has become one of my most successful prints so far thanks to a great concept from goliath72 aka Daniel.